I don’t know whether you have “grade recovery” or its equivalent in your school system or not. But, here in Jacksonville, Florida, the people who are large and in charge have made it a district-wide policy. Once students have failed a particular class or classes, they are offered the opportunity to “recover” from the failing grades. If they have successfully completed the requirements for grade recovery, they can change an F grade to no higher than a C.
I’ve had quite a bit of experience with grade recovery–first, as a teacher who was required to offer it. And, more recently, as a teacher who was assigned to a computer lab for the sole purpose of conducting grade recovery. But, I’m getting ahead of myself a little here. When I was required to offer grade recovery as a teacher, that meant that I was responsible for providing materials and assignments for all students who had failed my class. It also meant that I was responsible for grading all of those assignments to determine if students had met the requirements. In short, it was extra work for me, as well as the students who had failed my class. When I was a kid going through school, if you failed a class, you failed, period. There were no second chances. Fortunately enough, I never failed a class–my dad would’ve killed me. So, why are kids today being treated with such kid gloves? It seems to me that failure presents an opportunity to learn. The first thing that is learned is not to fail again. There are very few opportunities in life for a second chance. With that in mind, why are we breaking our backs giving second chances to kids who refused to meet class requirements or who were so disruptive in the first place? As I mentioned earlier, my most recent experience with grade recovery was when I was assigned to team teach in a computer lab devoted to grade recovery. 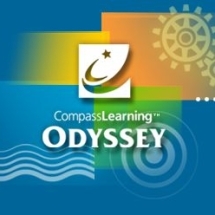 Our school district pays a handsome sum of money to access distance learning through a company called Compass Odyssey. With Compass Odyssey, students take a pretest and are assigned a “learning path” based on their results. Upon successful completion, they have recovered their grade. The Compass Odyssey curriculum is deliberately designed to be highly entertaining and engaging. Cartoon characters “speak” to the kids as they instruct them. A lot of flashy graphics and sound effects accompany each lesson. Although it varies from student to student, it’s not unusual to complete the learning path in a time span of 2 to 3 weeks. And, presto–they change an F to a C.
I think that the Compass Odyssey curriculum is very extensive, but I question whether the material being presented is really equal to that which is being presented in the classroom. As you might imagine, grade recovery (as it is here in Jacksonville) is a controversial issue. What are YOUR experiences with grade recovery?